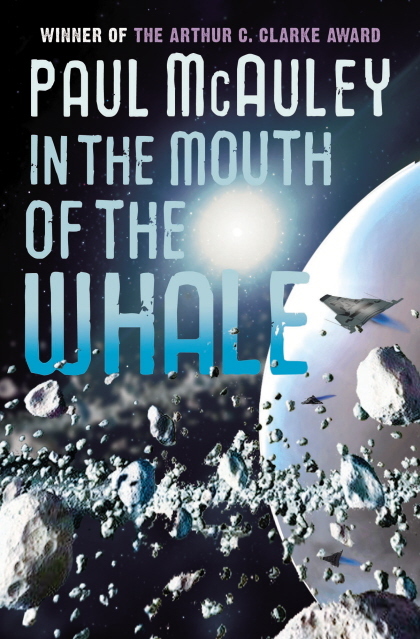 Hey, here's the cover for In The Mouth of the Whale. It's by Sidonie Beresford-Browne, and I like it a lot. 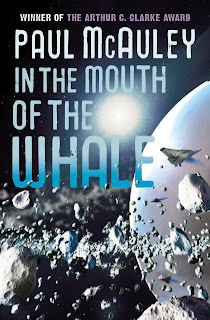 There's a lot going on in the novel, but quite a bit of it involves spaceships (I know they have wings: they're on their way down into the atmosphere) and chunky worldlets and a gas giant. "Because I don’t work with an outline, writing a story is like crossing a stream, now I’m on this rock, now I’m on this rock, now I’m on this rock."